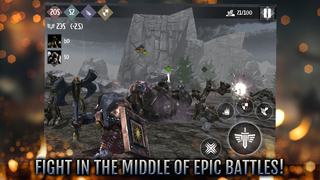 Heroes and Castles 2 is a 3rd person RPG packed with insane amounts of strategy and action. It also draws on classic tower defence games, to give you the ultimate gaming experience. Choose from one of the three available races, all of which are mighty in their unique way, and generate a grand army to fight for you, defend your castle and lands, expand your territory and destroy your opponents!